When there is a blaze, when there is a fire, when there is an explosion, when someone has an emergency medical problem, the firefighter--the EMT rush in. That is what they do. While others flee danger, the firefighter with sirens, red lights, horns, red and white trucks charge into the jaws and midst of danger. 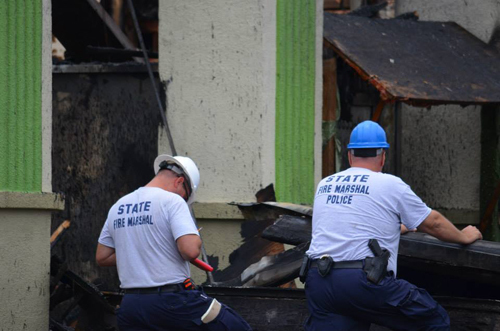 Sometimes the danger is overwhelming and firefighters are injured and some are killed. 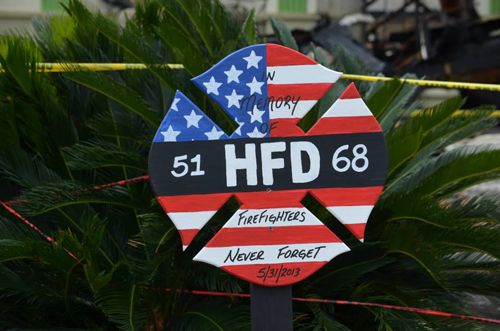 This has been a tragic year in Texas for firefighters. 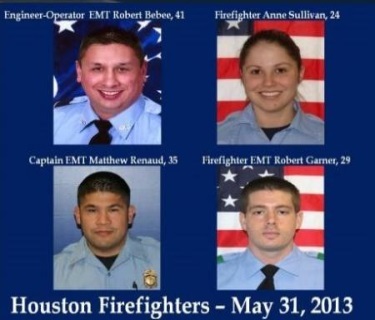 On April 17 in West, Texas, 12 firefighters were killed while putting out the fire at a fertilizer plant that had exploded. 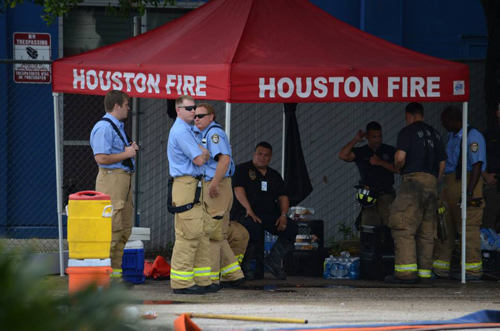 Last Friday, in the heat of the Texas noonday sun, a restaurant on the highly traveled Southwest Freeway caught fire. Then with the high winds, the fire spread to a nearby hotel. Houston firefighters arrived at the scene in minutes. They heard screams from citizens, and they rushed into the hotel to find potential trapped guests. The hotel suddenly became a hellish inferno. First, the two-alarm, then a five-alarm fire. It took over 2 hours to get the fires under control. 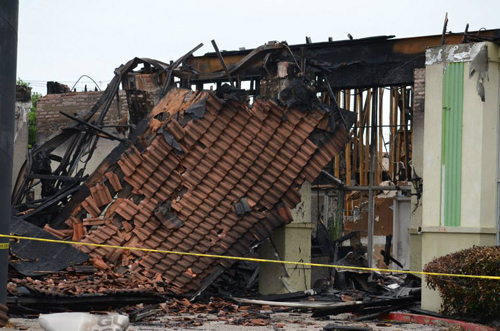 While the firefighters were in the hotel looking for people who stayed there, the roof of the hotel collapsed, trapping and killing four firefighters. Thirteen others were injured--some critically. Anne Sullivan was 24 years of age. She was assigned to Station 58. She grew up in Sugar Land, Texas. She was just 5 feet 2 inches tall. Anne knew she wanted to be a firefighter since the day she graduated from high school. 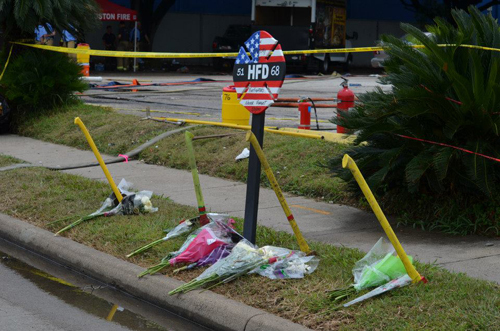 She had just graduated from the Houston Fire Department Academy in April. Anne was an avid soccer player, cross-country runner, and she ran 10 miles a day. Her father, Jack Sullivan, was in his car on the way home from work Friday when he heard on the radio about the fire. He realized the fire was in the same area where his daughter Anne worked. He wasn't sure whether or not she was involved and hoped with all his might it wouldn't be her. Then came the terrible news that four firefighters had been killed in the blaze. He started to cry. When he pulled up to his home, the emergency vehicle parked in front of his house said it all. Anne, 24, was one of the fallen firefighters. Firefighter Captain EMT Matthew Renaud, 35 years of age graduated from North Shore Senior High School. He was an 11-year veteran of the fire department. Station 51 was where he was assigned. He was close to Bebee. He transferred to Station 51 to work with him because they were like brothers. Firefighter EMT Robert Garner, 29 years of age, Station 68 had previously served in the United States Air Force; and since he finished serving, he wanted to be a firefighter in Houston. He did two tours of duty in Iraq. Garner's dad once told him: "Use your training because God will be with you.'' He awoke his dad that morning when he walked out of the house to go to work. That was the last time he saw his father. 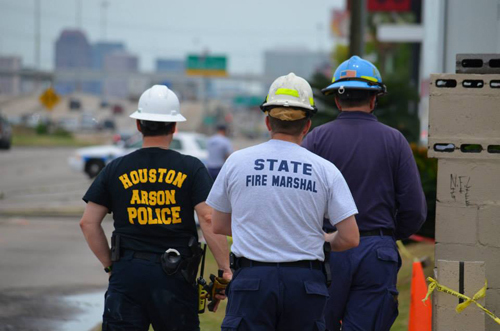 Houston is the third largest fire department in the United States. It is the busiest. 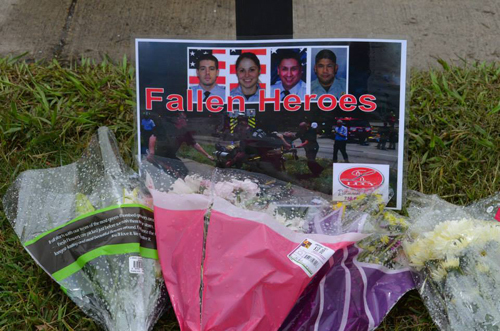 This is the most tragic event in the history of the Houston Fire Department. So tomorrow at Reliant Stadium, an estimated 30,000 citizens, firefighters, police officers, and other people will pay tribute to these amazing firefighters. They were the best we had in Houston, and we are saddened that they are gone; but we thank the good Lord that such people ever lived.